Working with our Clients as adviser in all aspects of property and development management. Litchford Consulting is a professional and friendly property development consultancy, providing a tailored service to suit each client’s specific requirements. 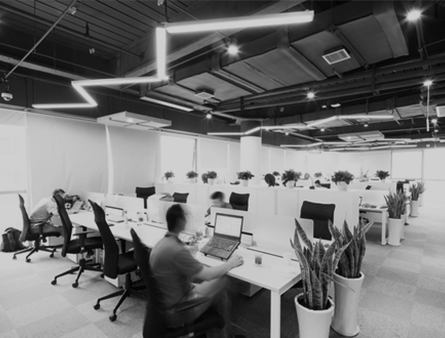 Since forming the business in 2002, our founding directors have built up a high profile client base, also undertaking numerous individual owner-occupier projects. Recently we’ve seen our long standing clients escalate their development activities. To keep pace with an increased workload we’ve expanded our business almost entirely from recommendations. Working with our clients to manage the process of ‘adding value’ to assets, implementing appropriate delivery strategies to maximise income and create opportunities for further growth. We are both team leaders and team players. In bringing experienced leadership skills to projects Litchford provide an approach that encourages collaboration within the project team, ensuring that the project teams targets are aligned with those of the Client. Taking a central role in coordinating and managing our clients project delivery requirements throughout the development process. Our services include appointment and leadership of the consultant team, procurement advice, prequalification and selection of contractors, programme and phasing, monitoring and advising on the construction process. We will liaise with incoming tenants to ensure a smooth transition through handover, fit out and occupation or sale. Supporting our clients from project inception through to completion and occupation, providing strategic input and adding value to their property development aspirations. Involved from establishing the project brief, site assembly, legal agreements, statutory consents and marketing through to the procurement and coordination of all development stages of the project. Acting as a Developer to provide a turnkey solution but sharing in the benefits with our development partner. Litchford will establish a Development Agreement to reflect the terms of the partnership arrangement, with Litchford taking responsibility for either a property occupier (typically with little property expertise) or property fund, with rewards being based on achieving set performance criteria in terms of programme and profit margin. Typically acting for property investors looking to purchase or seek development opportunities. We provide due diligence input working with investors, their asset/ fund managers and solicitors to assist with the technical aspects of site purchase and development finance agreements. Our monitoring support continues throughout the construction phase including scope and quality control, progress monitoring, risk review and final project certification. 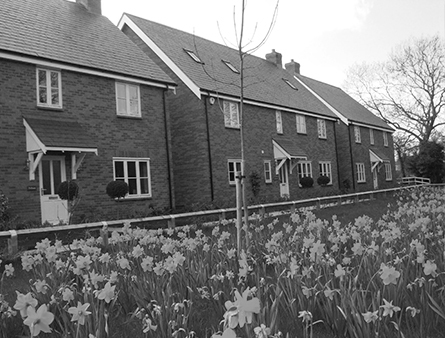 Litchford Homes have carried out developments both directly and on behalf of clients. These have included historic building conversions and small scale new homes developments. With the recent relaxation in planning policy for conversion of offices to residential, we have become more active in the private rented sector (PRS) an example of which is the ongoing Staines High Street Courtyard project, delivering 17No new apartments. The Litchford team have project managed commercial office new build and refurbishment projects. Employed by ‘blue chip’ clients delivering complex and sensitive schemes of varying size we have worked with many reputable clients and consultancies covering both shell and core and category A fit out scopes. Litchford has made its name as a retail specialist. Working extensively within the retail sector we apply our extensive knowledge and specialist experience to ensure the client brief is achieved. 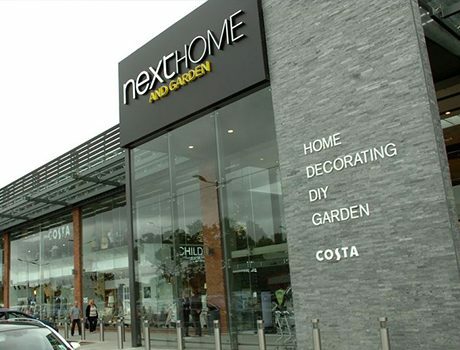 Whilst historically, much of our work has been on retail parks, we are increasingly working on edge of town and in shopping centre environments, with considerable crossover into food and beverage and the leisure sectors. 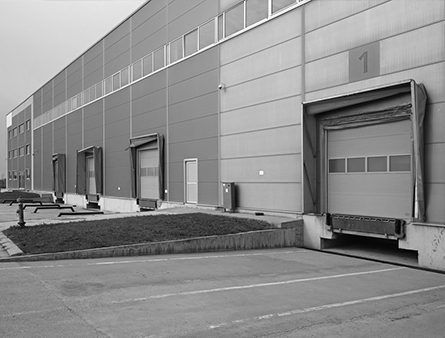 Litchford have a wealth of development management experience in distribution warehouse projects across the country. We are fully conversant with both new build and refurbishment of industrial buildings, whether this is on a speculative basis or with specific tenant/occupier requirements in mind. Providing Project / Development Management and Project Monitoring services. 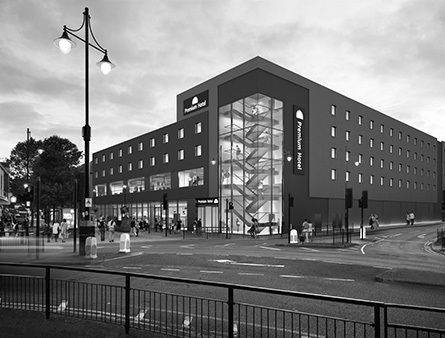 Working with major clients our projects include developments for Premier Inn and Hilton. Our ongoing 155 bedroom turnkey hotel development including 15,000sqft of retail in Staines is due for completion summer 2018. We have also completed a £1.3m 11-acre community football facility, consisting of six football pitches, changing rooms and function hall within a clubhouse working with the Football Foundation and private developers. Numerous projects including Unit reconfiguration, refurbishment, recladding and fit outs works. Include Next, Pret a Manager, TGI Fridays, Wagamama, GBK and Swag. From Land Appraisal to Completion, see how it works and what we do on our development projects in our flow diagram. Graham has 26 years’ experience spanning property development and construction management / procurement. His key expertise lies in development management and project management in the out-of-town retail and industrial sectors. Mark has been working in property development and construction management / procurement for 25 years. Dedicated to the commercial, industrial and retail sectors, he is skilled in both development and project management. Alexa joined the team in 2013 with a 12 year legal background in Residential Conveyancing. Following the arrival of her daughter Xanthe, Alexa took the opportunity to qualify in Level 1 & 2 Bookkeeping and Accounting. Chris has worked for Litchford Consulting since joining the team in 2013. His background is in construction and he has gained experience of the industry through working for a main contractor as a project manager and design coordinator. As a Chartered Surveyor, Jo has worked internationally and extensively in London as both a Project Manager and Quantity Surveyor with a range of experience. She continues to assist key clients across their national property portfolios. With a 25+ year career in Client and Consultancy environments, Retail, Commercial and Leisure sectors. Covering Project Management, Retail Delivery, Client Representative and Contract Administration roles on many major projects. Tony joined the team in early 2017, a ‘Prince 2’ practitioner with 9 years Project Management experience in the Retail and Residential sectors. He brings technical competence to the Litchford team and can deliver under pressure. "At Aberdeen we consider Litchford to be excellent in terms of the standard of service they provide." 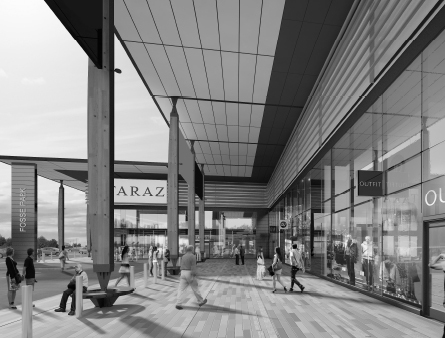 "We now consider them to be very much part of a highly successful team, adding value to all the retail parks in The Crowns ownership." 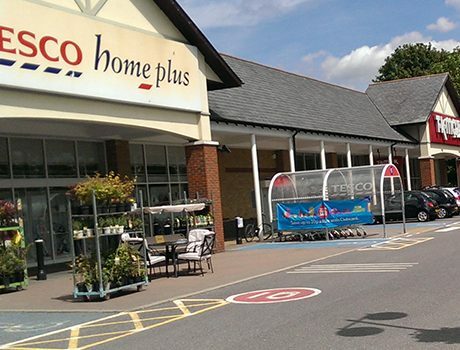 "The Litchford team provide a major contribution to both the roll-out of new stores and assisting with the management of property development activities across the Group." We have the strategic insight to take care of all your property development and asset management needs. To find out more about our property development consultancy services please feel free to get in touch.